My project is an autobiographical and inter-disciplinary one. In it I draw on personal, spiritual, philosophical, historical, and cultural resonances to question the uniqueness of the art object in the production of a creative digital program. The pursuit of knowing and recording oneself can never be a transparent act. It projects an illusory sense of selfmastery because it is political and subjective, an articulation of one’s culture, mythologies, imaginaries. The writing of women’s lives, amongst others, has not always complied with the Aristotelian trajectory of narrative, where there can be a response to a demand put forth in the beginning. blackBOX [Launch BlackBoxv3 online] extends the limits and conditions of the narrative structure in a non-sequential, fragmentary, and interactive environment, thus revealing the ways in which that structure engages with identity in and through representation. This interactive project traces an imagined history between the musical forms of Rembetika, Hindustani and Jazz music and dance cultures, by virtue of the protagonist Nina . The player’s movement through the ‘game’/ interactive work reveals Nina’s hybrid origins. The metaphoric dance between pandorasBOX, jewelBOX, and chineseBOX sections experienced by the player in the program, simulates Nina’s own discovery of these cultural forms, which in turn enables her to engage with her cultural origins. The objective of this creative research is to extend and complicate my earlier experiments with the music of the Russian diasporic people in China, through the production of an interactive non-linear multimedia work Strange Cities CD-ROM. This work is part of my on-going investigation into ‘the song’ as a mode of cultural expression, political persuasion, and propaganda, particularly in ethnic minorities. always wrapped in a tissue; of words, of memories, of lies. Dancing. the tide until something is washed up; something always washed up. father down. He stayed at this hotel once…the Cathay on the Bund. My paintbrush/ stylus is electronic and my canvas/ stage is networked, the objective is to interrogate these polemics through the production of an interactive creative digital text. In using new media to represent my own subjective ethno-cultural identity, as image-maker I am disrupting the subject/ object dichotomy, even if playfully. 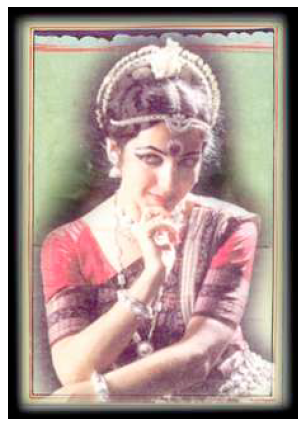 blackBOX reflects on the construction of Nina’s hybrid East/West identity, through virtual classical Indian dance pieces, her father’s stories of growing up in Shanghai, Russian jazz music, and the modal influences (taximia) that she experiences in fragments of Rembetika Greek blues music. Some years ago I had the task of packing away my grandparent’s possessions after their death in Punchbowl, Sydney. Overwhelmed by the idea of sifting through his father and mother’s personal effects, my father Serge Ermoll Jr asked me to empty the house of family objects. 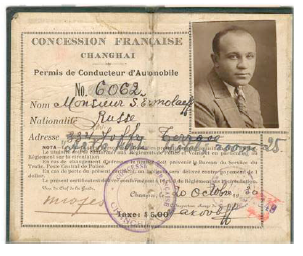 In the process I discovered many valuable documents, musical scores that my composer grandfather had written, letters, portraits, family photographs and objects from their temporary home Shanghai, China. Shanghai had always conjured many emotions for me while growing up. It was an idealised space in my grandparent’s eyes and many stories were passed down to me as a child about the metropolis, the struggle to survive and the ultimate expulsion. 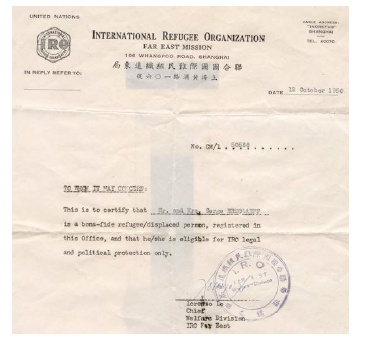 My grandparents were fortunate to obtain passage on the Chan Sha ship  to Australia with sponsorship through the International Refugee Organisation (IRO) in 1950. It transported my grandfather Sergei Ermolaeff, his wife Xenia and their son Serge Jr (my father) via Hong Kong to Sydney. As I sifted through my grandparent’s personal effects, photographs and documents, I realised that the stories I heard growing up were not the wild ramblings of senile refugees, who had been one too many times in and out of mental institutions. Xenia had received electro-shock therapy for depression following her arrival in Australia and Sergei had also been admitted to Callan Park Hospital (now known as the Rozelle Hospital), Sydney for depression. Rather, these vivid memories painted a picture of pre-revolutionary Shanghai. My grandfather’s musical scores took on a more abstract patina, offering a window into a larger picture of twentieth century revolution and the quasi-colonial outpost of the International Settlement and concessions of Shanghai in China. A personal collage on the wall of Sergei’s Punchbowl home consisted of a photograph of Sergei with a cut out picture of Generalissimo Chiang Kai Chek pasted on to his heart. As an elderly man he claimed to have played with Whitey Smith’s band at Chiang Kai Chek’s wedding to Mei-Lie Soong. The piecing together of many old photographs from his Shanghai days became, in his old age, a means of expressing his displacement from China, which was a direct result of the communist revolution. Chiang Kai Shek represented the government prior to this displacement and this personal collage reveals Sergei’s political inclinations. For me, it was at that moment that Sergei’s music and pre-revolutionary Chinese pop music became powerful articulations of these wider historical events, a Chinese modernity that was suppressed and resurfaced in contemporary times. I didn’t know in what form or medium I wanted to represent this story; however, a discovery that coincided with my computer based art studies at University pointed the way. At the University of Sydney Library, I chanced upon a book entitled “Shanghai: A Century of Change In Photographs . 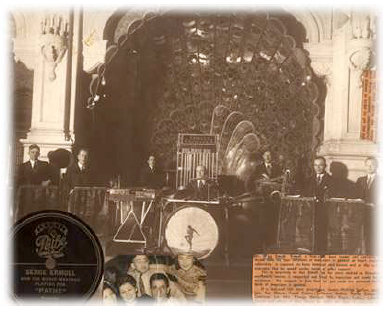 An uncanny event occurred, I opened the book and staring from its pages was a portrait of my grandfather and his orchestra pictured circa 1930 at the Majestic Hotel, Shanghai. I also found a copy of this photograph in Captain V.D. Jiganoff’s Russians in Shanghai, 1936. At a later date, I traced the reproduction of this photograph to its original, which I discovered in my grandfather’s possessions. The presence of this photograph underscored the historical fact that the Majestic Hotel was demolished after the revolution and no longer exists. 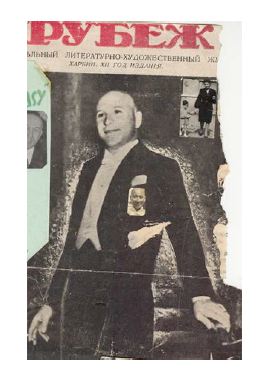 Haunting the colonial hotel ballrooms, entertaining the foreigners, a foreigner himself, Manchurian Chinese born Russian, this photograph of my grandfather Sergei seemed part ethnographic relic and part Eastern Hollywood publicity still. 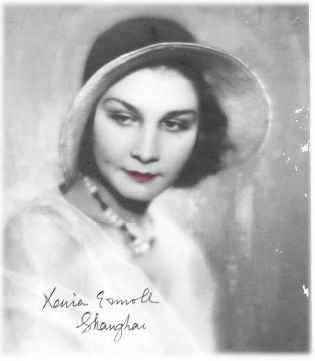 My father told me that my grandmother Xenia had made her way to Shanghai via Harbin, with her three sisters from Moscow in the early 1920s, to find a husband. Sergei and Xenia met in a nightclub; there is a family story that she was a dancer or singer there. Thus dancing began to connote for me a means of survival, performing, and a way of making a living. The ballroom of my imagination was becoming a space of economic exchange. These vestiges of material history form an archive tracing the arrival of western modernity in China. Leo Ou-Fan Lee traces this “flowering of a new urban culture in China” in his publication Shanghai Modern . Lee does this by investigating modern Chinese popular literature, film advertising, urban spaces, architecture, and fashion. He analyses the dialectics creating a unique Chinese modern culture, a melting pot of foreign influences of the west in the International Settlement of Shanghai, along with the impact of Chinese intelligentsia, commercialism, and traditional Chinese political and social culture. 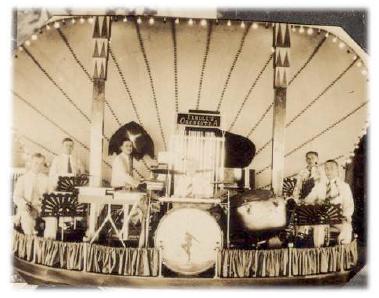 My grandfather Sergei’s jazz orchestra contributed to this modern culture. Sergei; Chinese born and ethnically Russian, possessed no passport and was legally a displaced person, a liminal space occupied by many in those times. 1 Joanna Woodall (Ed), Portraiture: Facing the Subject, Manchester University Press, New York, 1997, p1. 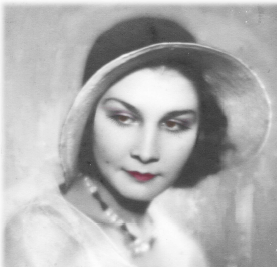 2 The name Nina is serendipitously common to Russian, Indian, and Greek traditions. 3 Digital film of still Ileana Citaristi by Tatiana Pentes 2002.1 Brian Castro, Shanghai Dancing, Giramondo Publishing, Australia, 2003, p3-6. 4 Brian Castro, Shanghai Dancing, Giramondo Publishing, Australia, 2003, p3-6. 5 El Lissittzky, “The Book: The Electro-Library, Topology of Typography”, Merz, No. 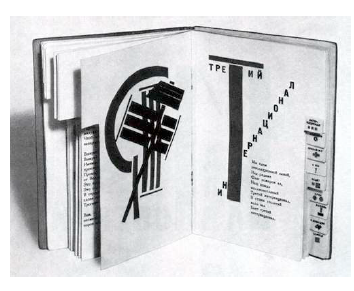 6, Hanover, July 1923, in El Lissitzky: Life, Letters, Texts, Thames and Hudson, Great Britain, 1992. 7 (Eds) Eleanor M. Hight and Gary D. Sampson, Colonialist Photography: Imag(in)ing Race and Place, Routledge, London, 2002, p3. 8 Hight and Sampson op cit p1. 10 masala a Hindi Indian word denoting spice mix, having culinary usage. 11 (Eds) Eleanor M. Hight and Gary D. Sampson, Colonialist Photography: Imag(in)ingRace and Place, Routledge, London, 2002, p3. Race and Place, Routledge, London, 2002, p2. 16 Whitey Smith with C.L. McDermott, I Didn’t Make a Million , Manila, 1956, p51-52. musical matters…the Russians were demonstrably less racist than most of the treaty port Caucasians. While the most impoverished of this group scandalized other Europeans by working as bodyguards and prostitutes for the Chinese, others supported themselves as musicians. White Russian bands played in Shanghai, Harbin, Qingdao. More classically minded players gave piano or violin lessons to young bourgeois Chinese When the Shanghai conservatory was established in the 1920s, several Russians joined its faculty.” In Richard Curt Kraus, Pianos and Politics in China: middle class ambitions and the struggle over western music , Oxford University Press, 1989, p5. Publishing Co, Hong Kong, 1996. 19 Frank Clune, Sky High to Shanghai, Angus and Robertson, Sydney, 1948, p197–199. 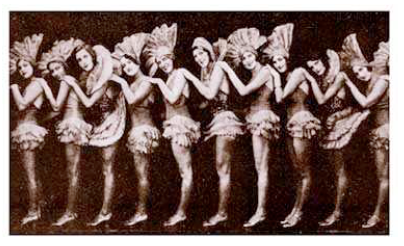 20(a) Andrew Field, Shanghai’s Dancing World: Cabaret Culture and Urban Politics, 1919–1954, The Chinese University Press, 2010. 1930-1945, Harvard University press, Cambridge, MAA, 1999.